1. 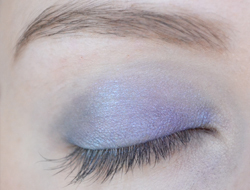 Apply an eyeshadow primer all over the lid. 2. Begin by using a dark turquoise colour (Number 7 shown above) as a base, one that is quite transparent. Don't worry too much about how neatly you apply it, this step is just to create a canvas for the other colours to layer on top of. 3. 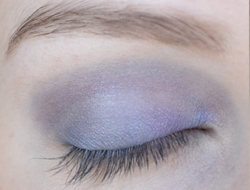 Take a deep purple (Number 6 shown above - preferably one that has a cool undertone) and apply this to the inner half of the lid. 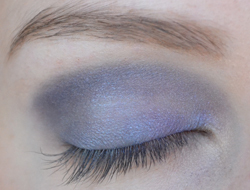 You still want a purple that has some colour to it, otherwise the look will turn out too dark. 4. 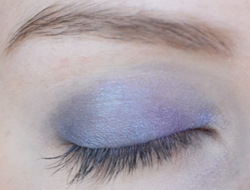 Now take a dark blue (Number 5 shown above) and apply it to the outer half of the eye. 5. 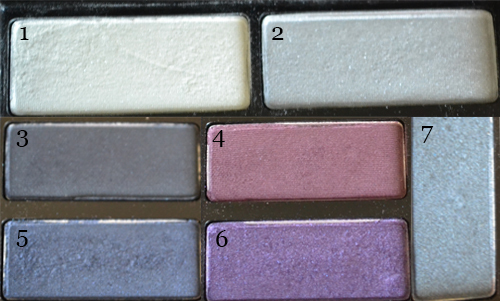 Use a warmer purple colour (Number 4 shown above) and apply this to the crease. 6. 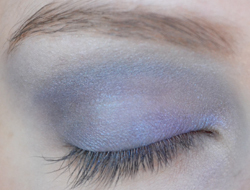 Apply a dark matte blue colour (Number 3 shown above) to the outer half of the crease. 7. 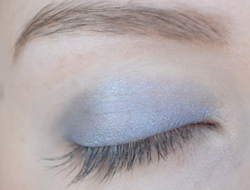 Take a snowy blue colour (Number 2 shown above) and brush it across the brow bone. 8. 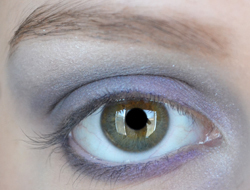 Add a white shimmer (Number 1 shown above) to the inner corner of the eye and the outer half of the brown bone. 9. 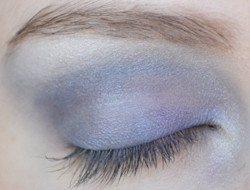 To line under the lower lashes, use the matte dark blue (Number 3) on the outer half, and the dark purple (Number 6) on the inner half. 10. 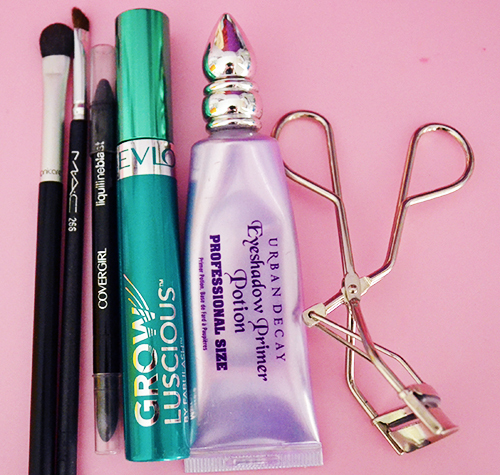 Comb and curl your eyelashes. 11. 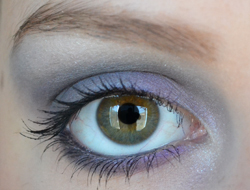 Apply black pencil liner to the waterline, and 2-3 coats of mascara. 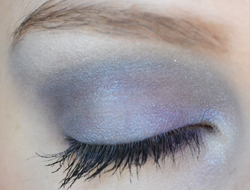 If you'd like to enhance the darkness of this look you can also add liquid liner above the upper lashes. Just a side note: a nice light berry lip colour really complements this look :) Thanks for reading, hope you enjoyed the tutorial! Nice tutorial! That's such a delicate color too. 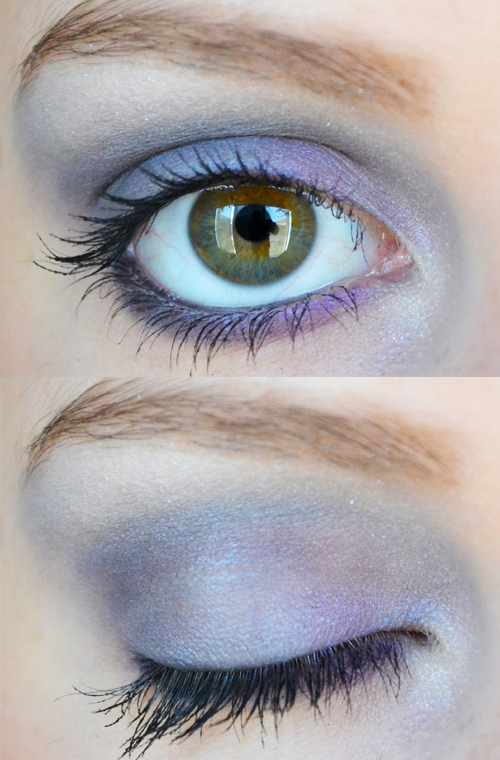 I'm a big fan of eye makeup. Usually I wear eye liner with a tiny bit of eyeshadow and of course, mascara :) It's fun to see what looks other people sport.